Are you ready to learn what online poker professionals bank on you not knowing? Are you sick and tired of having to reload your bankroll online? Finally a place where poker players can go to fine tune their skills 24/7. Poker Online School will constantly ensure that you are making the right decision at the poker table every time. We are a team of professionals that specialize in profiting in online poker. It's time to step up from being the "average player" at the table. Sign Up To The Poker Online School Mailing List and Receive the FREE eCourse Packed With Tips On How To Win Poker Tournaments! I've been around the block in poker quite a few times. I've seen it all. I understand how beginner, average, intermediate, and expert poker players all see and understand poker. When I first started playing poker years ago I had to learn from the bottom up how to act, bet, and play poker. I wish there was an Online Poker School I could have gone to in order to interactively learn how to be a better and more profitable poker player. Unfortunately there was not and I had to learn the hard way through losing thousands and thousands of dollars how to be a winning poker player. I understand how playing poker can feel. One moment you can be on top of the world, then with the turn of 1 card your whole bankroll is gone. 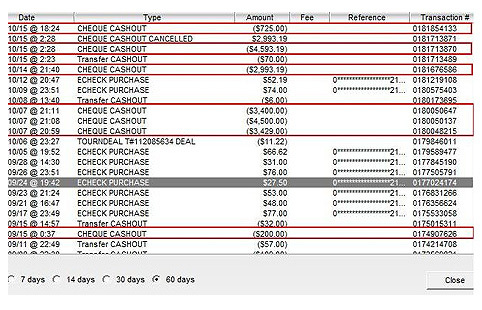 Are you sick and tired of losing your bankroll online week after week? Over $10,000 in cash outs processed. His overall profits after the buy-ins was over $9,000! 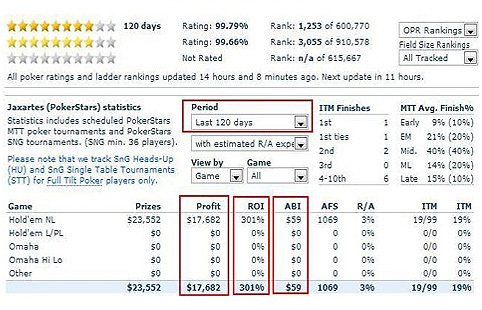 In just 120 days he had an overall ROI of 301% and profits of $17,682 from playing poker online This doesn't include his live poker earnings! You can achieve similar results, all you need to have is the drive to succeed and to know the strategy and secrets online pro's use to make serious money week after week! Do you want to be able to enjoy the RUSH of winning thousands of dollars in a short period of time? Then you NEED to join the Online Poker School to completely learn how to sharpen your game. How would it feel it you got a check like this every two weeks from playing poker? GUARANTEED money night after night. If you're ready to learn everything you need to turn yourself into a constantly profiting online poker professional then this membership is what you NEED! There's no book at Barnes and Noble or online that will expose everything interactively like you'll learn here. We are professionals at playing and teaching online poker. This is a limited sale, after 11 more people have joined the price will go back to its normal rate of $97.00 to join. Join now for 50% off the normal rate! If you decide to stay after the first month, it's only $14.95 and you'll receive new videos, audios, and training materials every single month you are a member! IMPORTANT: After payment, you will be directly sent to our encrypted download page where you can create your username and password for the Poker Online School. Please do not close your browser after payment! 543% ROI (Return on Investment) and total ranking of 5,639 out of 506,185 players! Isn't it time you learned to step up your game like SitNGoGenius? If you completely follow the videos, audios, and materials in my Poker Online School I will turn you into a poker machine. There is no reason why you should not be able to make a great income from poker month after month. I will teach you how to read your opponents, the right hands to wait for, the right situations to wait for, and my poker philosophy that has taken me from rags to riches. I play poker roughly eight hours a day, every day. There are days that I do not win any money, but there has never been a month go by in the last two years where I have lost money. I will teach you my methods that will ensure you are a long term winner from now and the rest of your poker career. If you follow my Poker Online School completely and do not show profit in 30 days, I will completely refund your money. I have successfully signed up many poker players to my Poker Online School. Why is this? I completely explain how to win online poker. After joining the Poker Online School, you will sit down at the table with confidence and WIN. Click on the order button below to join Sean Moronse's Poker Online School. For the initial special sign-up fee of $47.00 you'll receive unlimited access to all the videos, audios, training materials, and poker question area. For the price of one tournament you will learn proven techniques that could change your life FOREVER! Best of all, Poker Online School comes with a 100% money back guarantee! No risk to you at all to TRY! I hope you truly see the value I have put together for you today. The Poker Online School could really change the way you look at poker completely different. It's time to stop gambling and start winning. P.S. The price of $67.00 to join is the lowest price for new member entry the Poker Online School has ever offered for new members and is only valid until Midnight, November 30, 2011. Join the Poker Online School while it is only $67.00 to join, do not fall victim to a sudden price increase. P.P.S. 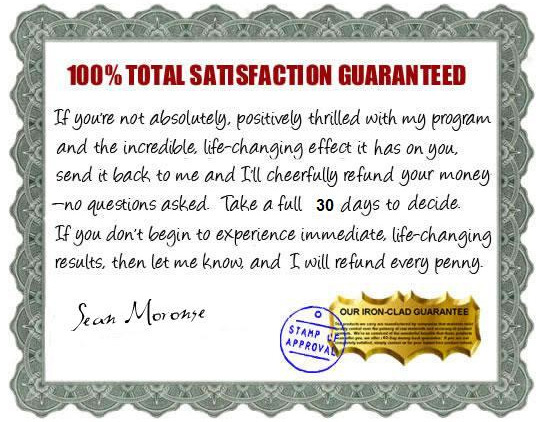 Remember, the Poker Online School is backed by a 100% money back guarantee. If my Poker Online School does not turn you into a winner, then simply provide your user name and we will completely refund the price of entry into the Poker Online School to you. No risk at all to you, this is a WIN-WIN situation! Bodog 100% Up To $1100 Bonus Promo Available By Using This Bodog Promo Link.